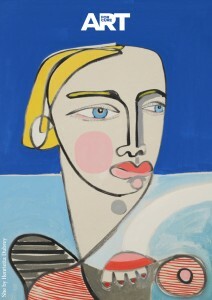 Art For Cure — ‘She’ in Aldeburgh June 3rd and 4th. 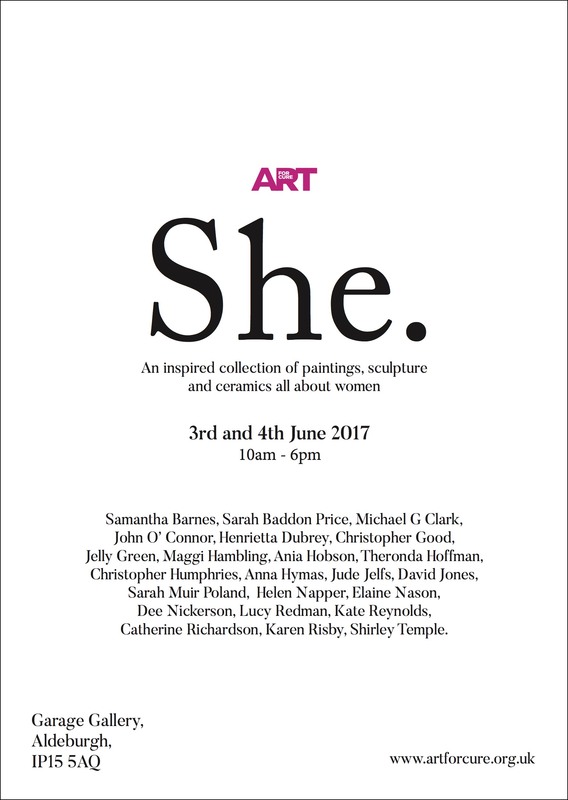 Announcing ‘She’ — an exhibition at the Graage and Peter Pears Gallery on June 3rd and 4th 2017 , opening 10am – 6pm daily. 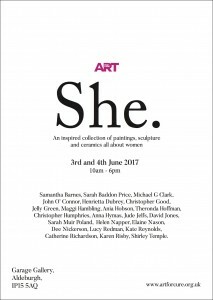 A small, stunning collection of artist’s work celebrating the female form with sculpture, ceramics and paintings — all inspired by women. ‘She’, includes the launch of a collection of ‘Collectors deck chairs’ — limited edition artworks transposed onto a deck chair canvas for the most stylish and exciting sitting out.